Hello, everyone. We have a new Official Avengers Endgame plot synopsis and this comes from the Australian Disney website, now what’s really interesting about this plot synopsis is that it lines up with END GAME full leaked plot point that came from a marketing team. Special thanks to Cosmic Wonder Youtube for the information. You all can talk/chat with other fans on our new Discord Channel. Currently, the Movie runtime of the Endgame is 3 hours. Avengers Endgame will release on24th Pril, 2019. That was working with Marvel and Disney doing surveys, so this gives even more evidence for that plot leak that we got not too long ago being real. I’ll go over this plot synopsis and then, I’ll break it down and I’ll tie it back in with the leaked synopsis linked above that we got not too long ago. That’s the plot synopsis from the Australian Disney website. It’s not too different from other ones that we’ve gotten in the past but the biggest thing about this one is in the last line where it says – The Avengers must assemble once more in order to undo Santos’s actions and restore order to the universe once and for all no matter what consequences may be in store. So, the Avengers are obviously going to try and undo Thanos’s actions obviously. That’s pretty much the main point of Avengers Endgame but then it speaks about consequences, they’re going to do this no matter what consequences may be in store for them. The Russo brothers have said multiple times now in many interviews that there will be real stakes and real consequences in Avengers Endgame and they have implied many many times that there will indeed be permanent deaths in the movie and that’s what this plot synopsis implies when they’re speaking about consequences. My thoughts immediately go to the soul stone if the Avengers are going to try and gather all of the Infinity stones to undo the snap. 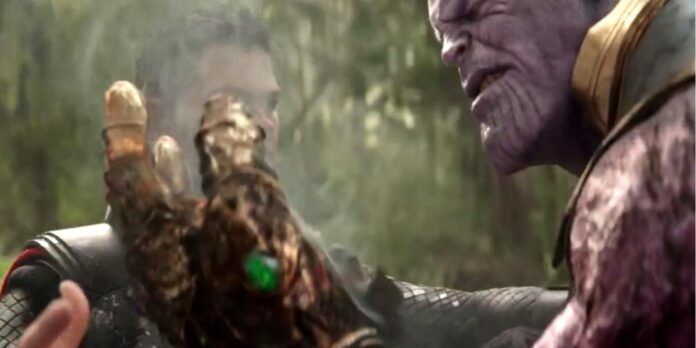 Then there will most likely have to be a sacrifice in order to obtain the soul stone and with a few main actors contracts up we can pretty much narrow it down to who we think it’s going to be and like I said, in the beginning, this plot synopsis is very similar to a plot leak that we got a couple of weeks ago. The wording for each of them is very similar and they both say that the Avengers are going to have to undo Thanos’s snap no matter what consequences may be in store but the plot leaked that came out a couple of weeks ago also says that Iron Man will forge his own Infinity Gauntlet. This makes sense because none of the Avengers are strong enough to wield the Infinity stones on their own, they’ll need an Infinity Gauntlet but the one that Thanos has is damaged, we saw that at the end of infinity war and the Russo brothers came out and said that the Infinity Gauntlet is permanently damaged. They’ll have to forge a new one if they want to control all of the Infinity stones, so lining this plot synopsis up with some other plot leaks that we’ve gotten in the past, it looks like there are going to be some serious consequences in Avengers End Game which may include some deaths and it also looks like the Avengers are going to have to forge their own Infinity Gauntlet and collect Infinity stones for themselves which if all of this ends up being true, it sounds like it’s going to be insanely awesome. The plot synopsis is already taken down off the Australian Disney website which implies that it really wasn’t supposed to be up there in the first place which also implies that it is in fact real, so let me know your thoughts on this let me know if you think Tony is going to wield an Infinity Gauntlet or if you think any of the other Avengers will wield the Infinity Gauntlet let me know in the Disqus comments section down below.